I was quite happy when I opened up this Degustabox* to see a number of exciting items included in this months box. 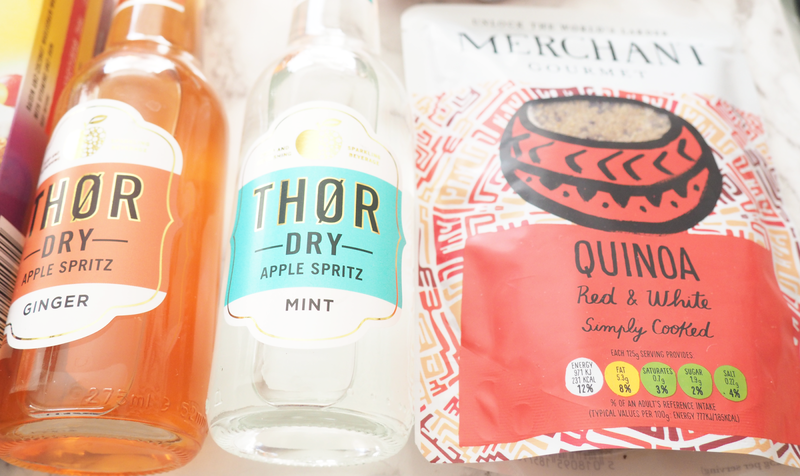 This one is branded as the 'Summer Box' and contains quite a few light bites and snack options that would be perfect for a picnic. If you fancy checking out what other boxes have included you can see them in my previous posts. 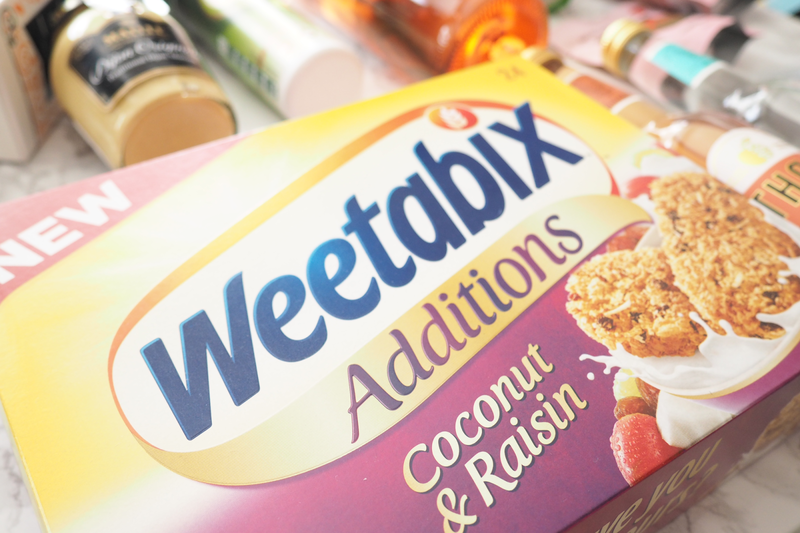 Eating a good breakfast can help you have a good start to the day, so something nutritious like the Weetabix Additions Coconut & Raisin (£2.99) cereal would be ideal. They have delicious fruit baked into each piece for an enjoyable breakfast. 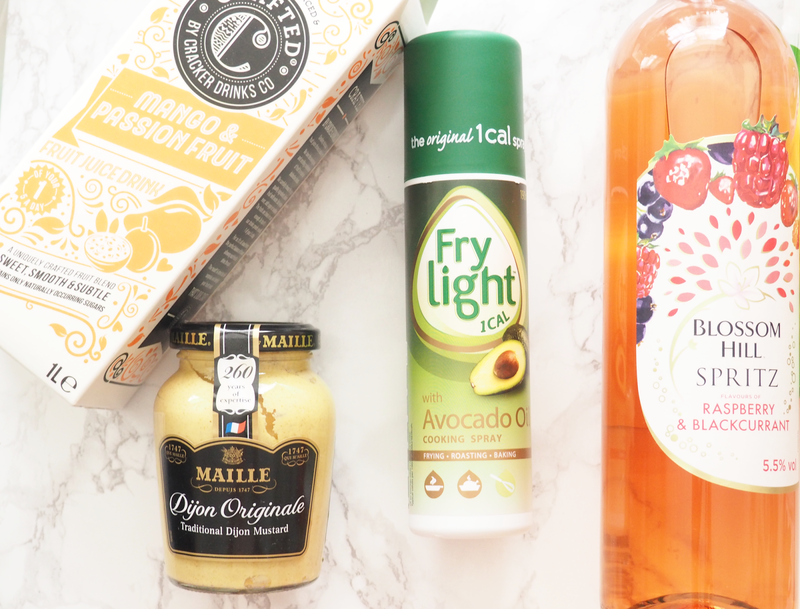 Frying food can be made healthier by this Frylight Cooking Spray with Avocado Oil (£2.99) and is a great alternative to using other oils and comes in at only 1 calorie per spray. I use this kind of spray a lot of the time and I love how easy it is to use when cooking. An ingredient that can be used in multiple meals is the Maille Dijon Original Mustard (£1.99) which can be used to enhance the flavour of the food. I use this when making homemade meatballs and it works really well. The last meal item was the Merchant Gourmet Simply Cooked Red & White Quinoa (£1.99) which is ready to use and could be perfect as a base to salads or instead of having rice/couscous. If you want a quick light snack then the Ryvita Thins Three Cheese (£1.89) are a good option. It's topped with cheddar, regato and emmental cheese and they were super tasty. These were the first thing that I opened and would like to give them another try. Something more on the sweet side are the Rowntree's Randoms 30% Less Sugar (£1.29) which are a well known treat. 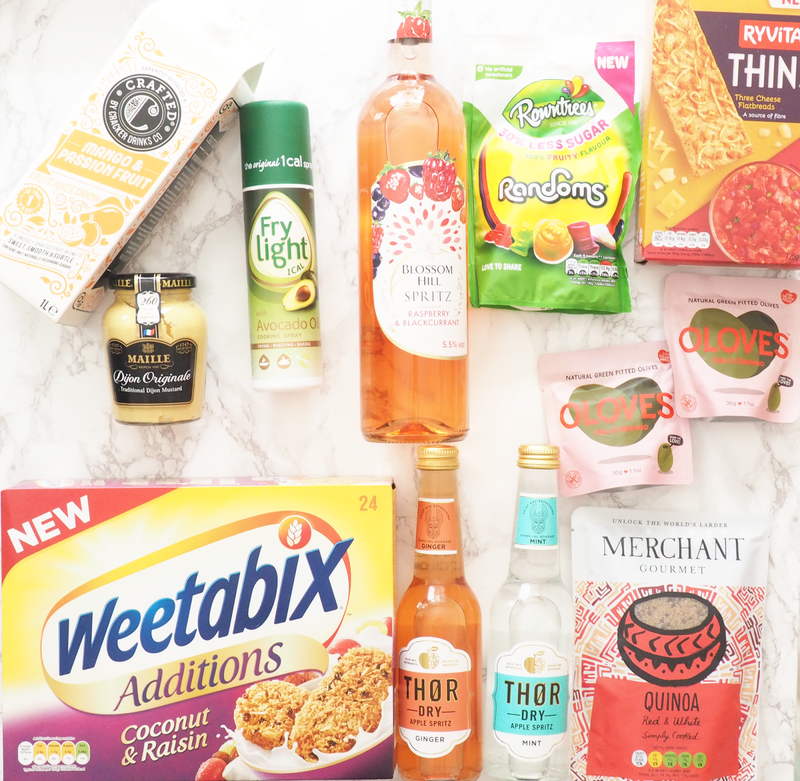 Having less sugar, no artificial flavours, colour and sweeteners while having the fruity taste is a perfect sharing bag to enjoy. Anyone that enjoys olives would like the OLOVES Healthy Olive Snacks (2 x £0.99) as they are a handy pack of juicy olives seasoned with chilli, garlic and oregano. The last item was a voucher for The Collect Kids Big Tub Yoghurt (£2.00) which is made with whole milk and fruit. It was created with kids palates in mind so it has no bits or pips but is still packed with fruit. Unfortunately I couldn't get hold of one from any shop near me, but I've had other versions of their yoghurts before and really enjoyed them. The first drink was the Crafted (£1.80) fruit juice drink which I received in the Mango and Passion Fruit flavour. The juice blends complimentary and unique combinations of fruit and contains no added sugar or sweeteners in any of the drinks plus being 1 of your 5 a day. Last but not least in this months Degustabox was the Blossom Hill Spritz (£4.99). It's a fresh a fruity twist on wine and is perfect for those summer months and is best to be served chilled to bring out that refreshing taste. That's all for the July Degustabox. 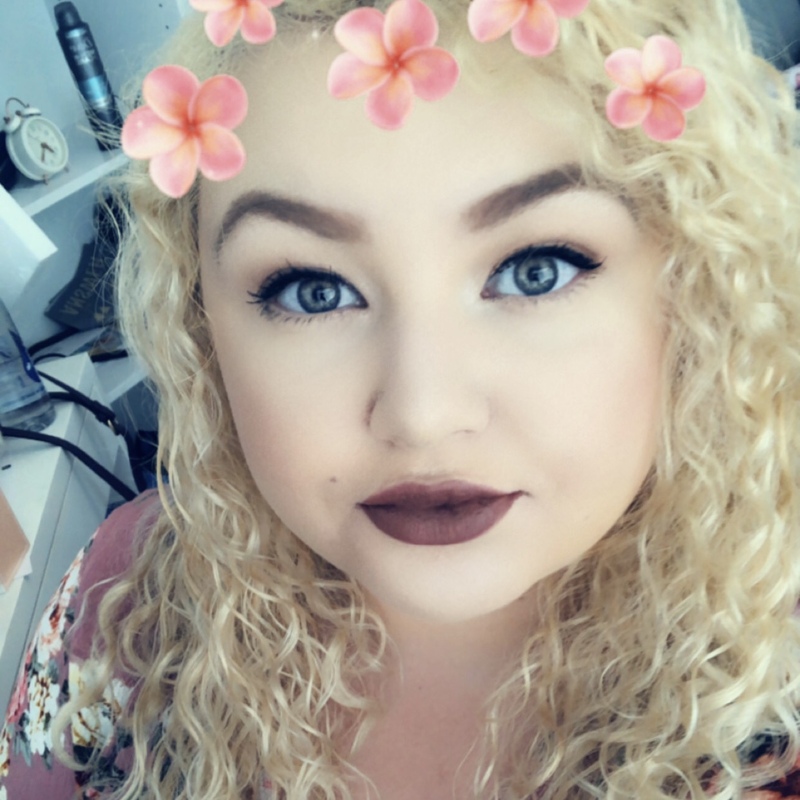 I was quite impressed with this months offering and would definitely pick up some of the items again that were included. If you fancy picking up your own box, don't forget to use the discount code 0GAWD at the checkout.